My delicious homemade salad dressing is a godsend for the busy, thrifty, food-loving cook. If you like it, expect to splash it on more than just salads. This dressing is also good for the allergy prone and those on special diets because it’s vegan, vegetarian, wheat-free, sugar-free, gluten-free, sugar-free…fuss-free. 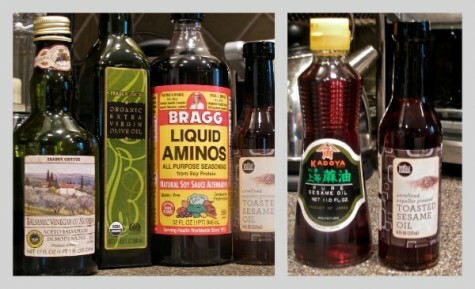 Only two ingredients are absolutely necessary: Bragg Liquid Aminos and olive oil. But toasted sesame oil and vinegar help customize the dressing in endless ways. Instructions: Combine all three ingredients. Shake, stir and serve. Adding toasted sesame oil will instantly make any dish Asian-y. Even though I’ve omitted the vinegar in this recipe, you might experiment by adding a little rice vinegar. Note: Use toasted sesame oil — and not bland, cold-pressed sesame oil. Trader Joe’s has GREAT olive oil & vinegars at terrific prices. It carries a 5-oz. bottle of toasted sesame oil for $2.29. Whole Foods has it too (8-oz., $3.39). But my favorite brand is Kadoya, from Japan (11 oz., $4.29); sold at Asian markets. Now about your salad…support local farmers! I want to end this post with a personal plea. Irene really hurt our local farming community. And if you’re reading this outside of New York, please read on because your farmers need you too. Irene is expected to be one of the 10 costliest catastrophes ever in this country. The problem is that most property insurance won’t cover flooding & few folks have flood insurance. This means if your property was destroyed your insurance company won’t give you enough money to rebuild (unless the government steps in). Irene destroyed dozens of upstate farms and devastated countless more. Huge tracts of crops were lost. Much of the land is still under water. The farmers work so hard and bring us such joy. Eating their just-picked vegetables and fruit in season is a healthy, sustainable practice. And if I’m sometimes paying more for some items, they deserve my money because they’re delivering quality. The photo below was taken last Saturday at my favorite stand. It isn’t organic but I don’t care. A lot of small farmers just can’t afford the expense of getting organic certification and I am totally okay with that. 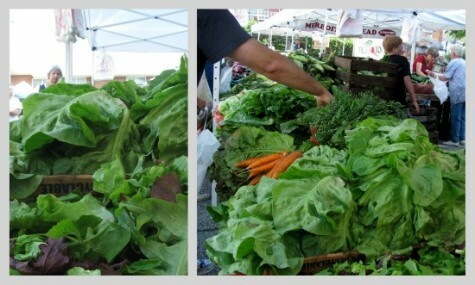 At this coming Saturday’s market, we’ll find out how our farmers survived Irene. No matter what, I’ll buy what they have. In New York City, GrowNYC.org runs “greenmarkets.” This is its brand name for markets that include the famous Union Square Greenmarket which is a favorite of NYC chefs. For other NYC market options, try NYFarmersMarket.com. And for a listing of markets around the country: LocalHarvest.org. Before I go, I just have to mention my new passion for radishes, especially their tops, which I used to throw away. I first read about actually eating radish greens on Kian Lam Kho’s drool-worthy cooking blog. I’m too lazy to do his recipes but his post inspired me to improvise some simple options. Discovery #1: Radishes taste good cooked. #2: Their green leaves are also delish cooked in a little olive oil + water. When done, add Bragg. This is a freehand version of my salad dressing! i initially wrote this one as a follow-up to the initial post on bragg liquid aminos. a lot of you had questions on how to use it so i figured this post would help you get started. Love this post and will definitely try the salad dressing — I’m tired of my usual olive oil-sherry vinegar combo. And will continue to support the farmer’s markets — what a drag for them. If the government bails out banks, they should definitely bail (bale?) out farmers. thanks, susan! and definitely feel free to tinker with the proportions. i’m a great believer in customizing recipes to taste. this dressing is easy to adjust. glad you’re out there for the farmers markets. i am trying to resist the urge to rant about the evils of big corporations appropriating “organic” as a marketing tool corporate america. i’m also pissed about insurance companies being the real mafia. what’s the point of buying a homeowners insurance policy if it doesn’t cover flooding? oh — of course. silly me. that’s why the insurance companies sell flood insurance separately! most people don’t have flood policies because they’re expensive. so that’s the situation. infuriating. One question: Your dressing sounds simple enough, but just how does it taste? Can you describe the taste…what can I expect? Second, what does cold-pressed mean? You mentioned the difference between getting the cold-pressed sesame oil and the sesame oil withn toasted seeds. I think it is cool you give these shout outs not just to bloggers and chefs, but to the support of our local farmers. It may be tough enough adjusting to life after Hurricane Irene without having to think of one’s business being hit so hard. It’s pretty thoughtful for you to share your blog with farmers that way and make us think about more than ourselves. By word of mouth, we can spread word on all kinds of causes or moments. But we may choose to gossip or read celebrity tabloid news instead. 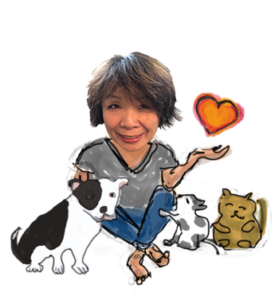 Now, don’t get me wrong, as far as blogs go, for me, it is fun and therapeutic to read what you have to say about your life. Reading a post like this demonstrates a great way to use your platform for good. Shout out to supporting local farmers! Shout out to Betty! my best word for describing the taste is “nuanced saltiness.” here’s another phrase to describe it: “teenager tested.” in other words, i cook with bragg and my 16-year-old daughter’s friends love my food. and if the kids will eat it, you know it tastes good. and yeah, let’s hear it for the farmers. i have no idea what they’re really going through. but once i chat with some of them at the farmers market on saturday, i’ll report back here in the comments section. thanks, skye! Betty, You are the one that constantly inspire me. I’m glad you’re discovering radish tops. They are delish! You know I have to seek out Bragg Liquid Aminos now. I’ve never tried it. aw, kian! thanks to you, i’m learning tons too. mutual admiration society is a good thing. you’re such an accomplished cook who loves intricate recipes — i’m at the other end of the culinary spectrum. so i’d be curious to hear what you think of bragg. as for the farmers, i just got back from the market. spoke to two of them. one made out fine. but things are bad for the other farmer, whose stands are pictured in this post. she had NO salad greens this week. all her lettuces destroyed by irene. her house is okay but many of her crops were ruined and she wonders how she can keep her workers when there isn’t much to harvest. i usually spend more than $20 with her every week. today’s bill amounted to barely $12 — even though i kept throwing more beets in my bags. so i just gave her $20 and told her to keep it. i feel to bad for her!! Thank you for posting “Recipe: How to make fast and easy healthy salad dressing | betty ming liu”.